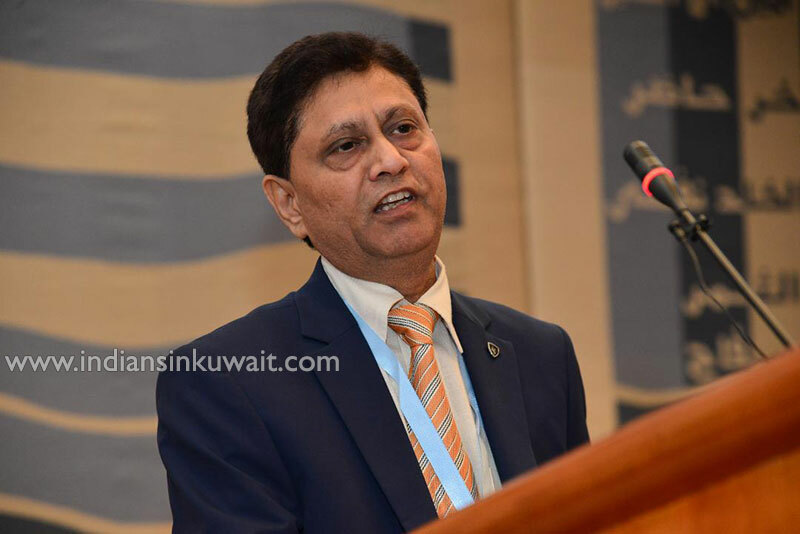 The Institution of Engineers (India), Kuwait Chapter celebrated 51st Engineers’ Day at Multipurpose Hall of Arab Organizations Headquarters Building. IEI observes 15th September of each year as Engineers’ Day in memory of the country’s great Engineer, Statesman and Bharat Ratna- Sir Mokshagundam Visvesvaraya. As per the guidelines, a central theme of national importance is chosen and deliberated at various state and overseas chapters by IEI to educate the society in general and Engineering fraternity in particular. The Theme for this year’s Engineers' Day is "Digital Transformation: A New Industrial Revolution". Digital transformation requires strong leadership and vision. All kinds of businesses can experiment with - and benefit from - digital transformation. Whether it's the way individuals work and collaborate, the way business processes are run within the organisation or the way a company understands and serves customers. Digital technology offers a lot of opportunities. 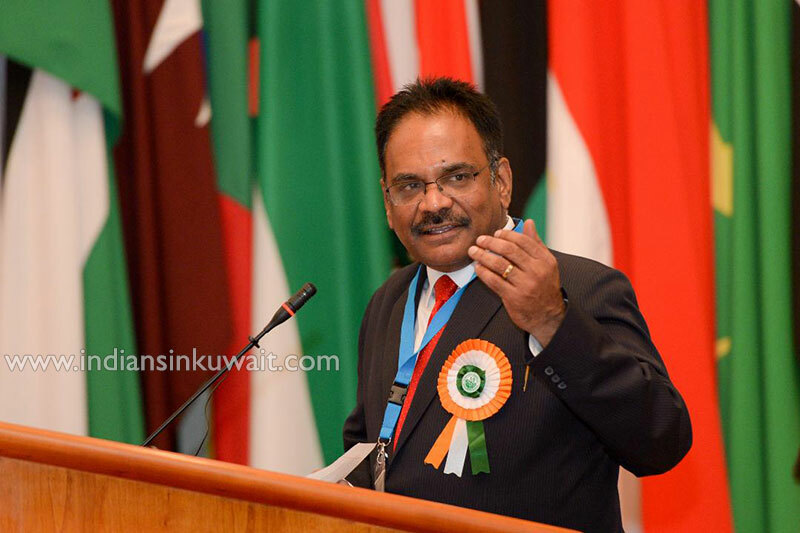 Dr. Mahendhran, Honorary Chairman, IEI Kuwait Chapter welcomed the Chief Guest, dignitaries, sponsors, members and guests in his welcome address. He thanked all the sponsors, Indian Embassy, Kuwait Society of Engineers, Arab Fund for Economic and Social Development for their valuable support. He informed about the upcoming International conference in Kuwait on 12-13 January 2019 on theme “Engineering Challenges in Gulf Region”. Dr. Mahendran conducted oath taking ceremony for code of conduct and ethics for engineers. H.E. Shri Raj Gopal Singh, DCM, Indian Embassy inaugurated the 51st Engineers’ Day by lighting the lamp accompanied with other dignitaries symbolizing enlightenment through knowledge and wisdom. In his inaugural address he applauded the role of Indian Engineers in the development of society and congratulated them for doing excellent work in providing various opportunities to members for their professional development and career enrichment. Padma Shree Dr. Mylswamy Annadurai, Ex-Project Director, ISRO (Indian Space Research Organisations) graced the occasion as Chief Guest and released 51st Engineers’ day Souvenir to mark the occassion. After the great success of Chadrayaan and Mangalyaan mission, he has been commonly known as Moon and Mars Man. Born on July 2, 1958, at Kodhawady in Coimbatore district, Tamil Nadu, India, Annadurai graduated in Electronics and Communication Engineering from Government College of Technology, Coimbatore. He joined ISRO in 1982. In his early days he worked as the Team Leader to design and develop software for satellite simulator. During the period 1988-1993, he worked as spacecraft operations manager for IRS-1A, IRS-1B, INSAT–2A and INSAT-2B. He worked as Mission Director for the period 1992-2005 and managed 10 INSAT missions. He led the team of engineers and scientists during 2004-2008 as Project Director for ISRO’s first Lunar Mission and designed and developed a lunar craft, “Chandrayaan-I” with 11 scientific instruments on Board which eventually discovered the presence of water on moon. Under his leadership as Program Director, India’s first interplanetary mission to planet Mars, “Mangalyaan” was meticulously planned and realised. This success brought unprecedented global accolade spiralling India to the pinnacle of glory. In his lecture on Space, “Challenges and opportunities” he has shared wealth of information relating to both Chandrayaan-I and Mars Orbiter Mission and discussed lessons learnt. Dr. Mylswamy Annadurai has been listed among the 100 Global thinkers of 2014 and tops the innovator’s list. He has been awarded the prestigious Padma Shree in 2016 by the President of India for his contributions in the field of Science & Engineering. Guest of Honour, Engr. 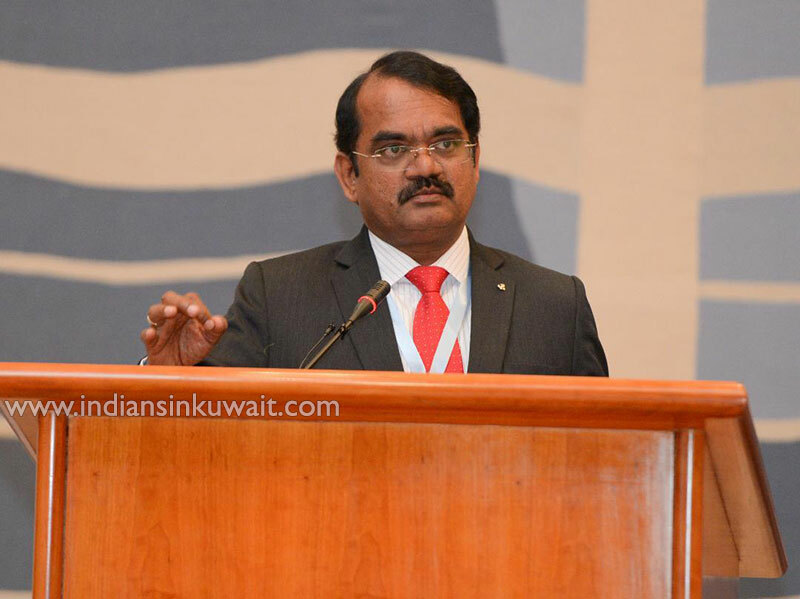 Ahmad Al Mershed, The Under Secretary, Ministry of State National Assembly, State of Kuwait in his address appreciated the role of Indian engineers. He went to the extent of remembering his experiences with Indian engineers in Power Station in his early time with Ministry of Electricity and Water. Guest of Honour, Dr.Osamah Alsayegh, Executive Director, KISR, delivered keynote speech on “Digitization of Power Systems in Kuwait” and the opportunities in the Country towards the development. He added that Kuwait is committed towards using renewable energy and projects have already started in this direction. 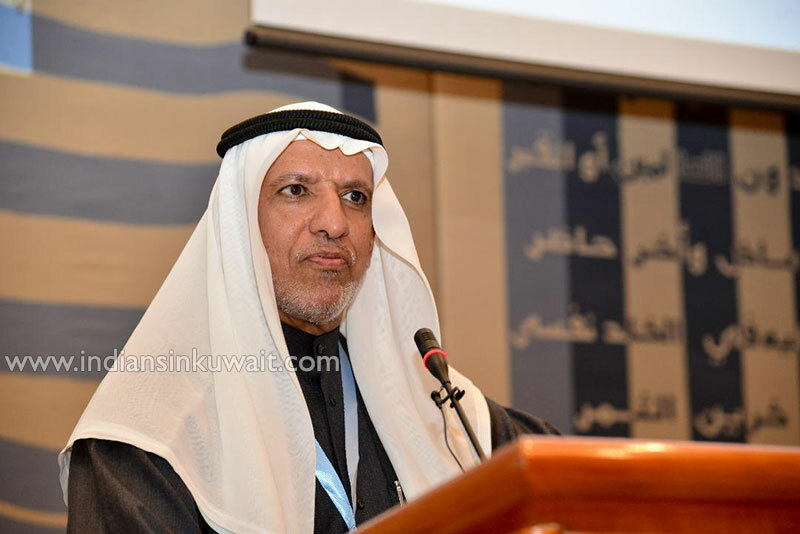 Dr. S. Neelamani a Senior Research Scientist, Coastal Management Program, Kuwait Institute for Scientific Research (KISR), Kuwait delivered a speech on the upcoming “International Conference on Engineering Challenges in Gulf Countiries-2019”. This conference is Scheduled on 12th & 13th January 2019. He appreciated the IEI Kuwait chapter for this wonderful initiative which will result in knowledge sharing among large number of engineers and participants. He highlighted that many topics of concern in gulf region will be addressed during the conference. He disclosed that record number of high quality papers have been received on the theme. 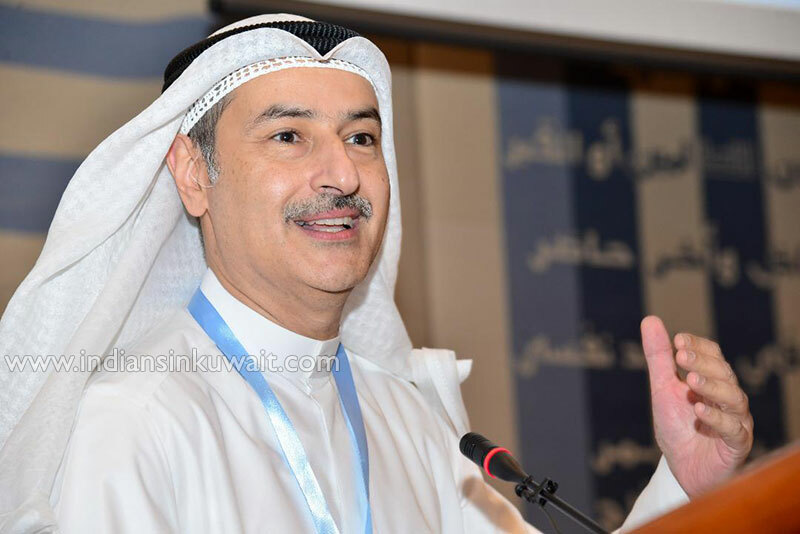 Dr. Manaf Behbehani, Professor, Kuwait University addressed the gathering with his humorous and thought provoking speech which left the audience in a hilarious spirit. Engr. Hirak Kumar Mitra, Hon. General Secretary, IEI Kuwait Chapter proposed the vote of thanks. He thanked all the dignitaries, guests, sponsors, members for making the event a grand success. Engr Sam Ananth Kumar, Executive member and Ms Bhagyashree Koranne, Ladies Wing member alternately took the role of Master of Ceremony and ensured smooth flow of program proceedings. As a token of appreciation, Mementoes were distributed to the Executive Committee members, Dignitaries and Sponsors. This event was attended by members, dignitaries, distinguished guests from Ministries, Universities, KSE, KISR. Also Technocrats, Consultants, Decision Makers and Business Leaders from Leading Engineering Firms participated in this unique gathering, celebrating the engineer’s role in society. Dinner was served at the end of the program. Dignitaries were also taken on an exciting tour of the premises and were briefed on the various unique architectural features and preserved artefacts.